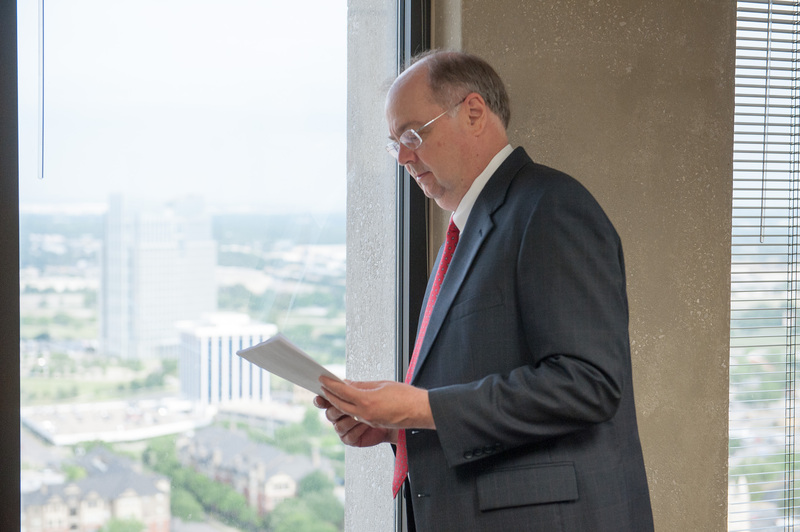 Tim began his Oil & Gas practice right out of law school in 1980 with the predecessor of the Decker Jones firm. With the collapse of the industry in the mid 80’s, Tim spent over 15 years as a solo practitioner engaging in a broader practice of commercial litigation. With the resurgence of the oil & gas industry beginning the early 2000’s, Tim was able to refocus on his favorite area of the law – Oil & Gas, which now consumes nearly 100% of his time. Whether dealing with ownership issues in a title matter, disputes between surface and mineral owners, interpretation of instruments or creating agreements to document a transaction, Tim’s goal is always to work towards meeting the needs of the client by offering a path towards a solution. Typically solutions to complex legal issues require careful listening to not only the client, but also the adverse party, to truly understand the issues. Armed with a true understanding the problem and knowledge of the law, Tim provides experienced advice to the clients of Decker Jones in order to move forward towards a solution. Instructor on various oil and gas law topics for TCU Landman Certificate Program.